What do you normally eat for breakfast? Muesli? Toast? Fruits? A smoothie? Porridge? Something savory? 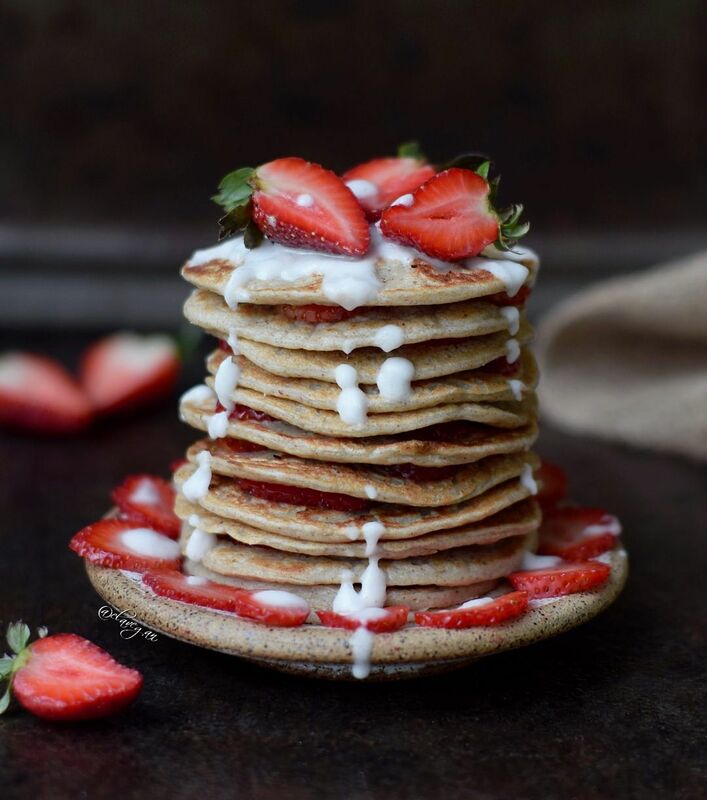 What about a yummy breakfast such as pancakes? I mean, why not? 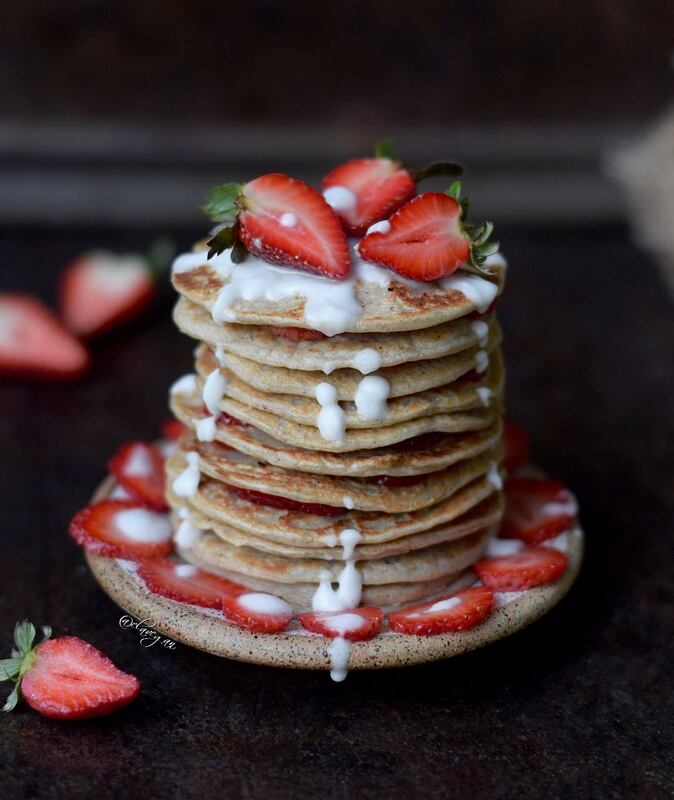 Pancakes are amazing and they can be even healthy, when they are made with plantbased wholefood ingredients. Besides they taste very delicious. I love to eat my pancakes in combination with fruits since it makes them even healthier. Some people might fear that pancakes contain too much fat, sodium and calories. But don’t be afraid, my vegan banana oat pancakes are low in fat and sodium and the batter contains just 1 tbsp of maple syrup (you can use any other sweetener). You might ask why I use oats to make pancakes instead of all purpose flour? Oats taste good, they are healthy, they are rich in fiber, protein, magnesium and especially manganese. They also contain lots of phosphorus, selenium, zinc and vitamin B1. Oats contain beta-glucans which have been shown to contribute to the maintenance of normal blood cholesterol levels. Beta-glucans is also a type of soluble fibre that slows down the absorption of carbohydrates into the bloodstream. Oats are furthermore very affordable. All together there are so many reasons to consume oats more often. Use gluten free oats if you have celiac disease. This recipe contains only 3 ingredients and is furthermore very easy to make. The total time to make these healthy banana oat pancakes is more or less 20 minutes. You can serve them with either fruits, homemade peanut butter, maple syrup, low calorie icing sugar or a vegan low fat chocolate sauce. Let me know how you like to eat your pancakes. If you try out my recipe please leave a comment below and tag me with @elavegan and #elavegan on Instagram or Facebook. Serve with either fruits, maple syrup, a chocolate sauce or whatever you prefer. Enjoy! Looks gorgeous ???? Definitely trying this recipe soon!! Thank you so much Mariela! I hope you will like it ???? These beauties will complement and complete your morning. 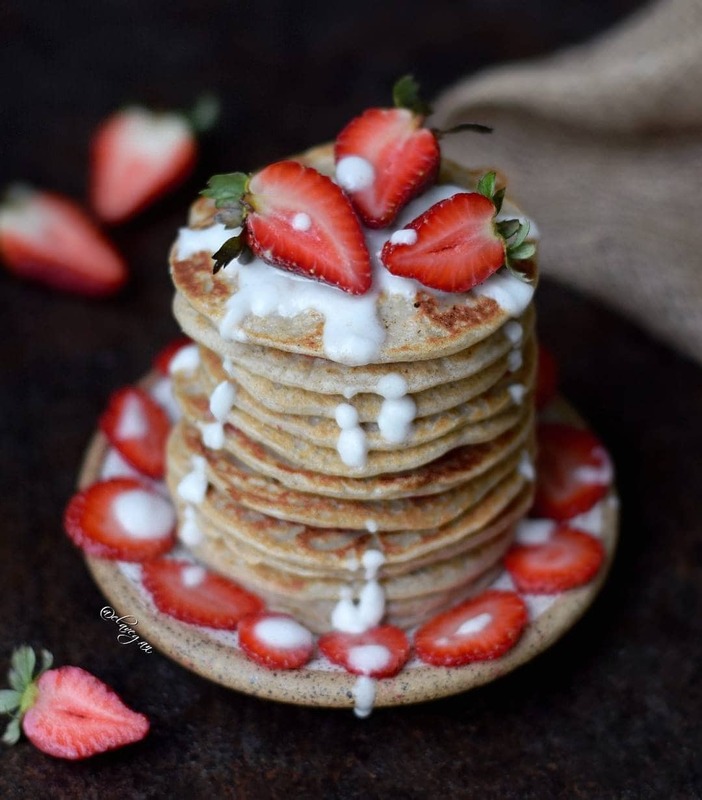 Seriously these pancakes could not be simpler to make and utterly delicious too! A variety of toppings can be added, but they are scrumptious entirely on their own! And easy peasy with only ✨THREE✨ ingredients! Just discovered your blog and I can’t wait to try all of your recipies!! Thank you!!!! Hi! I am out of bananas and craving these so much! Can i use “flax egg” and if so, how much? Thank you ???? Thank you so much, Dee! Mine aren’t always perfectly round either, haha, but of course, even the ugly ones taste delicious. ???? I can’t wait to see a stack of pancakes on your gorgeous blog and/or Instagram account ???? 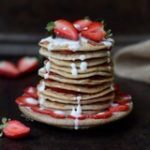 easiest and nicest banana oat pancakes???????? These were soooo yummy! Best vegan pancake recipe I’ve had. Have made these three days in a row now! And excited for more ???? Used almond milk since that’s what we had and worked great. First day I just did the 3 ingredients and loved it but the second two I did add a teaspoon of baking soda & a capful of apple cider vinegar which gets rid of the 3 ingredient charm but made them much fluffier. Love them either way and so happy to have found this simple recipe! Can I add hazelnut flour instead of oat flour? Never tried it out, so I can’t say if it will work or not. Please report back if you try it out. Great recipe! Can I change to almond milk? Im from Argentina and its easier for me to find it rather than coconut milk. I made these beautiful pancakes today, exactly according to your recipe and they were delicious! Im not a fan of adding sugar to anything anyway, so the maple syrup is a good alternative. As you could see on my Instagram @healthy.lifestyle.rox , I topped the pancakes with plantbased yoghurt- raspberry sauce and lots of fruits, you could call it a real pancake party ;). Thank you for me this great recipe. I will definitely try more of your recipes. Hi Ela. I love your receipts, I can follow only your one some how))) May ask if I can replace banana with some nuts or veggies?I don’t mix fruits with any food, this is my life taboo. Thank you for answering. Merry Christmas! Does the above recipe makes the amount that the picture shows? It’s hard to find oat flour in the UK – what do you suggest I can replace this with? What can I do if it sticks to the pan? ?